Lunching is Valletta is one of my favourite things to do on a Sunday. Our beautiful capital city is packed with fantastic restaurants, it’s really hard to go wrong. One of the latest restaurants I tried in Valletta is L’ Artiglio. 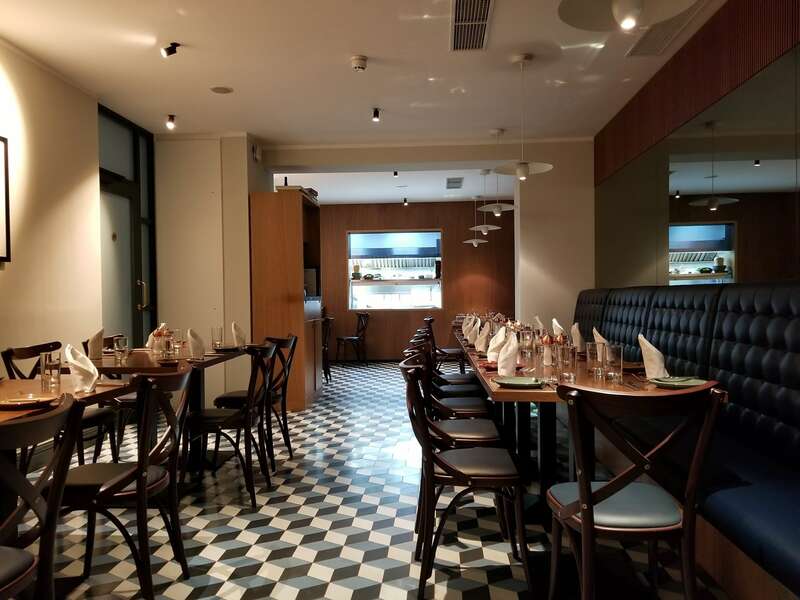 This beautifully decorated restaurant is fairly new to the choice of restaurants in the city and is rapidly building a reputation for it’s spectacular dishes and ever- changing menu. I was impressed when I learnt that the menu changes everyday in order to use the freshest ingredients, reflecting Malta’s incredible fresh produce all year round. L’ Artiglio is part of the chic hotel called La Falconeria and is run by the young but super talented Head Chef Janine Camilleri. It is an exclusive venue that can be appreciated, day and night. And while it is open for breakfast to the hotel guests, the general public can enjoy lunch and dinner. One can also enjoy a drink or two in the attractive bar and cocktail area. In summer or on a beautiful day guests can enjoy lunch in the outdoor courtyard. With the restaurant scene progressing, one need not only to provide guests with excellent food, service, and a creative wine list but peripheral details giving them fond memories and good reason to talk about your restaurant. And L’ Artiglio excels at this. The open kitchen at the end of the restaurant will also provide guests with a direct look into the kitchen, with the Maltese style giving the final touch for a beautiful Mediterranean experience. The elegant decor makes it the ideal venue to enjoy dinner with friends and family or grabbing a quick working lunch with colleagues. Their superb chefs have developed an à la carte menu that effortlessly amalgamates classical cuisine with contemporary taste. If sublime food in a beautiful setting is what you are looking for, you’ve found it. Here one can find a number of signature dishes including the braised rabbit and the steak tartar. We simply went to try out their sunday lunch. As starter we opted for the Hamhock and Pea risotto- to die for! This was very different than any other risotto I ever tried. The main courses were equally delicious. Sebastian ordered a mouthwatering meat dish while I opted for the grilled seabass. All main courses are served with herbed roast potatoes. And to finish off on a sweet note, despite being full to the brim, we both ordered two different dessert. I ordered the strawberry parfait and Sebastian ordered the apple pie.